The Samsung Galaxy S7 and Galaxy S7 edge launched last week. This year, the likes of Bell, Telus and Rogers tried to entice consumers to buy one of Samsung’s new phones by offering a free Gear VR headset. Now that that offer has passed, carriers are setting up their upcoming promotions and it looks like Telus will be the first out of the gate with a new deal. 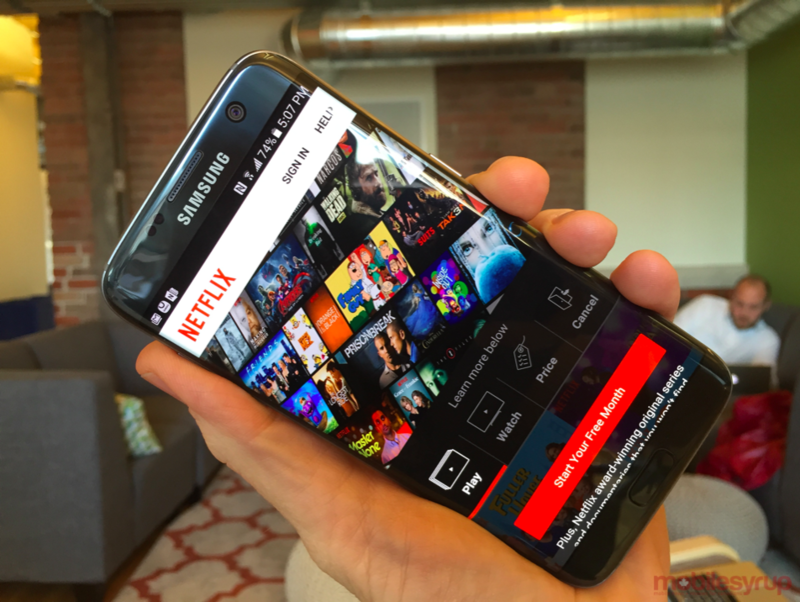 Effective March 18, Telus, in partnership with Samsung, will offer postpaid customers purchasing either the Galaxy S7 or Galaxy S7 edge a free three month subscription to Netflix as well as 1GB of bonus data for three months. According to an internal doc we received, two days after the GS7 purchase the customer will receive a text message stating they are eligible for the promo. Replying ‘yes’ to the message will activate the free gigabyte of monthly data and forward a Netflix promo code. This promo will be available until May 7, according to the document.